What Does Big Oil Really Think About Climate Science? Exxon Mobil has used climate science to prepare for its future while simultaneously discrediting it. Here’s the story so far. We have the chief legal representatives of the eighth- and 16th-largest economies on Earth (California and New York) probing the biggest fossil-fuel company on Earth (ExxonMobil), while both Democratic presidential candidates are demanding that the federal Department of Justice join the investigation of what may prove to be one of the biggest corporate scandals in American history. And that’s just the beginning. As bad as Exxon has been in the past, what it’s doing now—entirely legally—is helping push the planet over the edge and into the biggest crisis in the entire span of the human story. Back in the fall, you might have heard something about how Exxon had covered up what it knew early on about climate change. Maybe you even thought to yourself: that doesn’t surprise me. But it should have. Even as someone who has spent his life engaged in the bottomless pit of greed that is global warming, the news and its meaning came as a shock: We could have avoided, it turns out, the last quarter-century of pointless climate debate. As a start, investigations by the Pulitzer Prize–winning Inside Climate News, the Los Angeles Times, and Columbia Journalism School revealed in extraordinary detail that Exxon’s top officials had known everything there was to know about climate change back in the 1980s. Even earlier, actually. Here’s what senior company scientist James Black told Exxon’s management committee in 1977: “In the first place, there is general scientific agreement that the most likely manner in which mankind is influencing the global climate is through carbon dioxide release from the burning of fossil fuels.” To determine if this was so, the company outfitted an oil tanker with carbon-dioxide sensors to measure concentrations of the gas over the ocean, and then funded elaborate computer models to help predict what temperatures would do in the future. So here’s what happened. Exxon used its knowledge of climate change to plan its own future. The company, for instance, leased large tracts of the Arctic for oil exploration, territory where, as a company scientist pointed out in 1990, “potential global warming can only help lower exploration and development costs.” Not only that, but, “from the North Sea to the Canadian Arctic,” Exxon and its affiliates set about “raising the decks of offshore platforms, protecting pipelines from increasing coastal erosion, and designing helipads, pipelines, and roads in a warming and buckling Arctic.” In other words, the company started climate-proofing its facilities to head off a future its own scientists knew was inevitable. Its CEO, Lee Raymond, even traveled to China in 1997 and urged government leaders there to go full-steam-ahead in developing a fossil-fuel economy. The globe was cooling, not warming, he insisted, while his engineers were raising drilling platforms to compensate for rising seas. “It is highly unlikely,” he said, “that the temperature in the middle of the next century will be significantly affected whether policies are enacted now or 20 years from now.” Which wasn’t just wrong, but completely and overwhelmingly wrong—as wrong as a man could be. In fact, Exxon’s deceit—its ability to discourage regulations for 20 years—may turn out to be absolutely crucial in the planet’s geological history. It’s in those two decades that greenhouse-gas emissions soared, as did global temperatures until, in the 21st century, “hottest year ever recorded” has become a tired cliché. And here’s the bottom line: Had Exxon told the truth about what it knew back in 1990, we might not have wasted a quarter of a century in a phony debate about the science of climate change, nor would anyone have accused Exxon of being “alarmist.” We would simply have gotten to work. The company’s sins—of omission and commission—may even turn out to be criminal. Whether the company “lied to the public” is the question that New York Attorney General Eric Schneiderman decided to investigate last fall in a case that could make him the great lawman of our era if his investigation doesn’t languish. There are various consumer-fraud statutes that Exxon might have violated, and it might have failed to disclose relevant information to investors, which is the main kind of lying that’s illegal in this country of ours. Now, Schneiderman’s got backup from California Attorney General Kamala Harris, and maybe—if activists continue to apply pressure—from the Department of Justice as well, though its highly publicized unwillingness to go after the big banks does not inspire confidence. Here’s the thing: All that was bad back then, but Exxon and many of its Big Energy peers are behaving at least as badly now when the pace of warming is accelerating. And it’s all legal—dangerous, stupid, and immoral, but legal. In other words, we’re no longer talking about outright denial, just a denial that much really needs to be done. And even when the company has proposed doing something, its proposals have been strikingly ethereal. Exxon’s PR team, for instance, has discussed supporting a price on carbon, which is only what economists left, right, and center have been recommending since the 1980s. But the minimal price they recommend—somewhere in the range of $40 to $60 a ton—wouldn’t do much to slow down their business. After all, they insist that all their reserves are still recoverable in the context of such a price increase, which would serve mainly to make life harder for the already terminal coal industry. But say you think it’s a great idea to put a price on carbon—which, in fact, it is, since every signal helps sway investment decisions. In that case, Exxon’s done its best to make sure that what they pretend to support in theory will never happen in practice. The deepest problem is Exxon’s business plan. The company spends huge amounts of money searching for new hydrocarbons. Given the recent plunge in oil prices, its capital spending and exploration budget was indeed cut by 12 percent in 2015 to $34 billion, and another 25 percent in 2016 to $23.2 billion. In 2015, that meant Exxon was spending $63 million a day “as it continues to bring new projects on line.” It is still spending a cool $1.57 billion a year looking for new sources of hydrocarbons—$4 million a day, every day. But, you say, that’s what oil companies do, go find new oil, right? Unfortunately, that’s precisely what we can’t have them doing any more. About a decade ago, scientists first began figuring out a “carbon budget” for the planet—an estimate for how much more carbon we could burn before we completely overheated the Earth. There are potentially many thousands of gigatons of carbon that could be extracted from the planet if we keep exploring. The fossil-fuel industry has already identified at least 5,000 gigatons of carbon that it has told regulators, shareholders, and banks it plans to extract. However, we can only burn about another 900 gigatons of carbon before we disastrously overheat the planet. On our current trajectory, we’d burn through that “budget” in about a couple of decades. The carbon we’ve burned has already raised the planet’s temperature a degree Celsius, and on our present course we’ll burn enough to take us past two degrees in less than 20 years. That’s why it’s wildly irresponsible for a company to be leading the world in oil exploration when, as scientists have carefully explained, we already have access to four or five times as much carbon in the earth as we can safely burn. We have it, as it were, on the shelf. So why would we go looking for more? Scientists have even done us the useful service of identifying precisely the kinds of fossil fuels we should never dig up, and—what do you know—an awful lot of them are on Exxon’s future wish list, including the tar sands of Canada, a particularly carbon-filthy, environmentally destructive fuel to produce and burn. Even Exxon’s one attempt to profit from stanching global warming has started to come apart. Several years ago, the company began a calculated pivot in the direction of natural gas, which produces less carbon than oil when burned. In 2009, Exxon acquired XTO Energy, a company that had mastered the art of extracting gas from shale via hydraulic fracturing. By now, Exxon has become America’s leading fracker and a pioneer in natural gas markets around the world. The trouble with fracked natural gas—other than what Tillerson once called “farmer Joe’s lit his faucet on fire”—is this: In recent years, it’s become clear that the process of fracking for gas releases large amounts of methane into the atmosphere, and methane is a far more potent greenhouse gas than carbon dioxide. As Cornell University scientist Robert Howarth has recently established, burning natural gas to produce electricity probably warms the planet faster than burning coal or crude oil. In 2007, as CTI reported, Canadian tar sands and similar “heavy oil” deposits accounted for 7.5 percent of Exxon’s proven reserves. By 2013, that number had risen to 17 percent. A smart business strategy for the company, according to CTI, would involve shrinking its exploration budget, concentrating on the oil fields it has access to that can still be pumped profitably at low prices, and using the cash flow to buy back shares or otherwise reward investors. That would, however, mean exchanging Exxon’s Texan-style big-is-good approach for something far more modest. And since we’re speaking about what was the biggest company on the planet for a significant part of the 20th century, Exxon seems to be set on continuing down that bigger-is-better path. They’re betting that the price of oil will rise in the reasonably near future, that alternative energy won’t develop fast enough, and that the world won’t aggressively tackle climate change. And the company will keep trying to cover those bets by aggressively backing politicians capable of ensuring that nothing happens. Next to that fierce stance on the planet’s future, the mild requests of activists for the last 25 years seem… well, next to pointless. 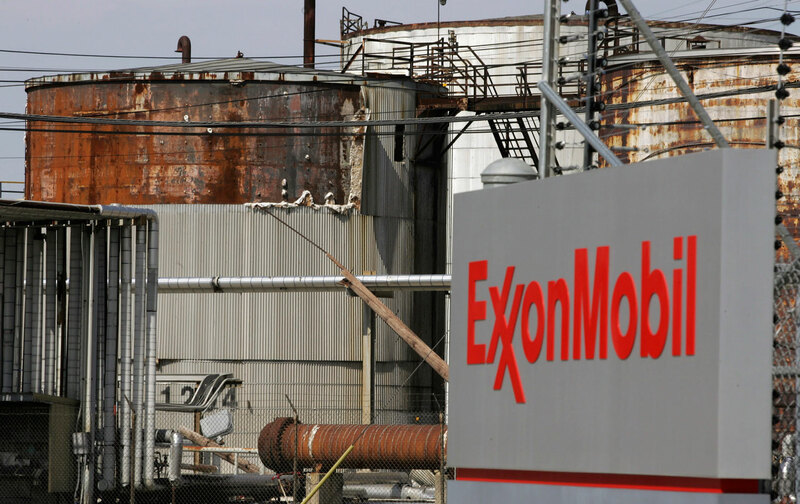 At the 2015 ExxonMobil shareholder meeting, for instance, religious shareholder activists asked for the umpteenth time that the company at least make public its plans for managing climate risks. Even BP, Shell, and Statoil had agreed to that much. Instead, Exxon’s management campaigned against the resolution and it got only 9.6 percent of shareholder votes, a tally so low it can’t even be brought up again for another three years. By which time we’ll have burned through… oh, never mind. What we need from Exxon is what it’ll never give: a pledge to keep most of its reserves underground, an end to new exploration, and a promise to stay away from the political system. Don’t hold your breath. At the Paris climate talks in December, a panel of law professors led a well-attended session on the different legal theories that courts around the world might apply to the company’s deceptive behavior. When that begins to happen, count on one thing: the spotlight won’t shine exclusively on Exxon. As with the tobacco companies in the decades when they were covering up the dangers of cigarettes, there’s a good chance that the Big Energy companies were in this together through their trade associations and other front groups. In fact, just before Christmas, Inside Climate News published some revealing new documents about the role that Texaco, Shell, and other majors played in an American Petroleum Institute study of climate change back in the early 1980s. A trial would be a transformative event—a reckoning for the crime of the millennium. But while we’re waiting for the various investigations to play out, there’s lots of organizing going at the state and local level when it comes to Exxon, climate change, and fossil fuels—everything from politely asking more states to join the legal process to politely shutting down gas stations for a few hours to pointing out to New York and California that they might not want to hold millions of dollars of stock in a company they’re investigating. It may even be starting to work. The question is: Why on God’s-not-so-green-anymore Earth would anyone want to be Exxon’s partner?